Downwind masters Kaeo Abbey and Andrea Moller have taken out today’s downwind race @ Duke’s OceanFest on Oahu. 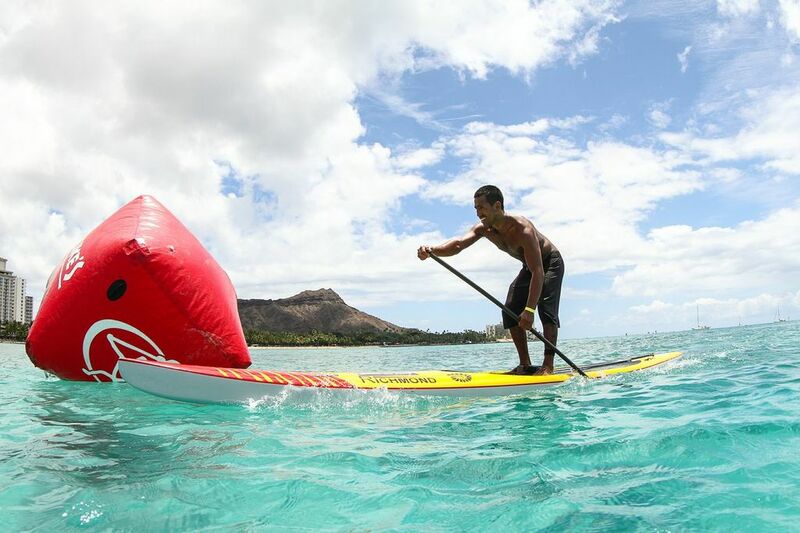 The race was held on the famous Hawaii Kai downwind run, which goes from Hawaii Kai back to Waikiki. This is the same course that was used for the Battle of the Paddle Distance Race in 2010 & 2011, as well as for the Waikiki Paddle Festival last year. It was the second win this month for Art In Surf team rider Kaeo, after he took out the Na Pali Race on Kauai a few weeks back. Meanwhile Andrea stamped her authority on the Hawaiian downwind racing scene, taming the Hawaii Kai run for the umpteenth time and picking up yet another trophy.